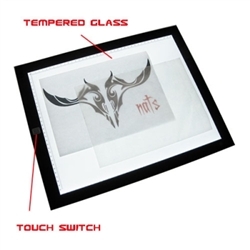 This Ultra Thin Light Box from New Age Tattoo Supply will fit any paper up to Size A3. It provides perfect lighting to make a tracing or line drawing from your tattoo design easily. It comes with a power adapter that fit your country. 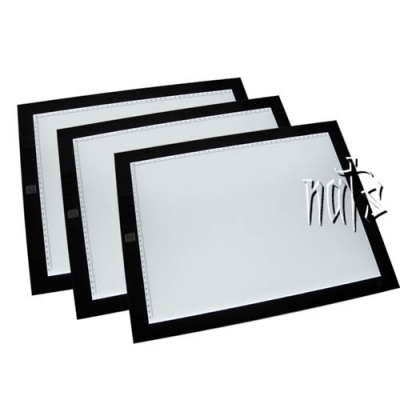 It is the best tattoo light box from the world. It will not let you down. Highly Recommend !!! Momentary touch switch on/off plus touch and hold for adjustable brightness. Ultra Thin tempered glass for durability. Dual Ruled edges across top and side.